Photograph ©2010 Jan Erik Paulsen. Graph by Robert Simmon, adapted from Latitude-dependent long-term variations in polar mesospheric clouds from SBUV version 3 PMC data. Caption by Holli Riebeek. 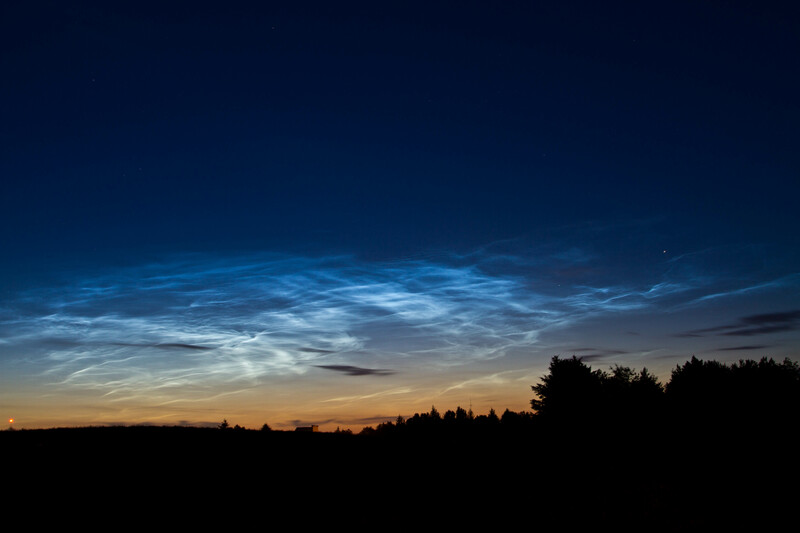 The rare night-shining clouds seen in this photo are both forming more frequently and becoming brighter, trends that point to changes in the atmosphere linked to greenhouse gases. DeLand, M.T., Shettle, E.P., Thomas, G.E., and Olivero, J.J. (2007, May 30). 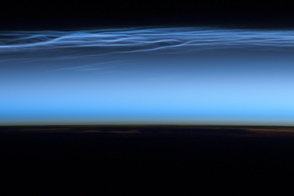 Latitude-dependent long-term variations in polar mesospheric clouds from SBUV version 3 PMC data. Journal of Geophysical Research, 112, D10315. Shettle, E.P., DeLand, M.T., Thomas, G.E., and Olivero, J.J. (2009, January 17). 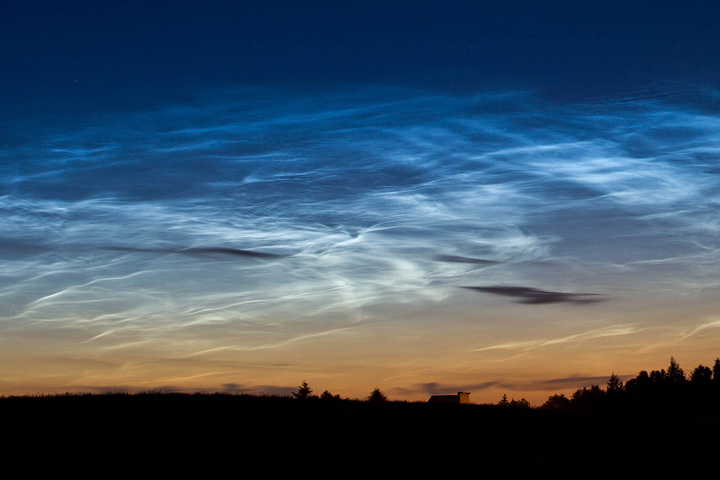 Long term variations in the frequency of polar mesospheric clouds in the Northern Hemisphere from SBUV. Geophysical Research Letters, 36, L02803.